Intraworks began as an entrepreneurial cliché, starting up in founder Phil Stiller’s bedroom in 2003. 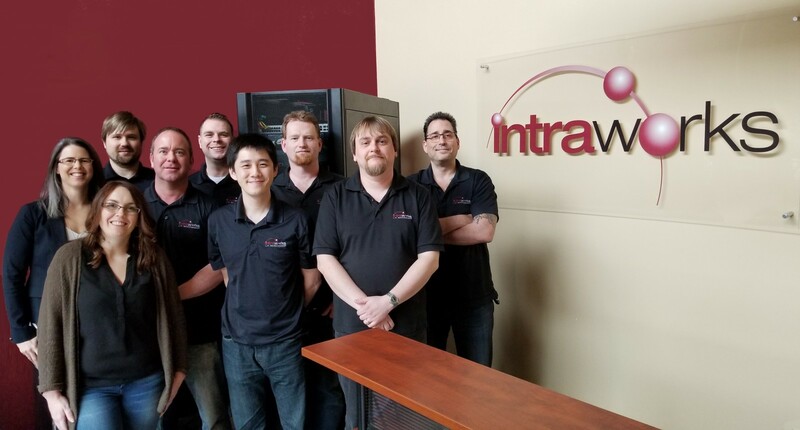 After scaling first to the dining room, then to a basement suite, Intraworks now operates a Tier 3 Colocation Datacenter from a customized building in Nanaimo, as well as Datacenter operations in Toronto and Kelowna, providing enterprise-level IT services to a broad range of clients. As a lifelong lover of technology, Phil was pleasantly surprised when he moved to Vancouver Island from Toronto over 20 years ago and found a vital and growing tech community. A strong background in software development and network engineering meant that Phil could both build and manage medium to large-scale IT projects for industries and businesses. He also predicted the strong emergence of Cloud-based technology, and made strategic investments early on to ensure that he had the infrastructure to support it. Now, in 2018, Intraworks provides IT management and Cloud services to clients on the Island, throughout British Columbia, across Canada and globally. With multiple, direct 1G links to various major cities, including Vancouver, Intraworks can ensure fast, efficient and secure transfers of data. Full-service IT management strategies help companies maintain security, complete due diligence and stay on budget, all while having instant and secure access to their important data. The IT industry is a constantly evolving one, and Intraworks works hard to remain on the cutting edge. They know that Cloud solutions have moved beyond simple data storage, and will help companies build their own private Cloud-based information eco-systems, complete with personalized applications and software. And keeping data stored in their advanced, customized Cloud means it stays nearby, giving their customers more control over their data and where its managed. The IT industry can be stressful, especially compounded by the demands of city-living, whereas the Vancouver Island lifestyle allows the Intraworks team to remain creative and engaged in their work. It’s also much more affordable, so talented individuals can remain with the company, grow and improve. Less worry about money means more energy to put into their relationships with clients. And the Central Island is close enough to large city centers to easily conduct business while maintaining work-life balance. This is what has allowed Intraworks to follow an organic growth process and stand out from their competition. Phil and 12 dedicated employees enjoy the benefits of their Island location, where tech and tech-enabled business continues to thrive. Looking to the future, Intraworks is planning to grow their market share, both in Canada and worldwide. With the ability to work with any company, anywhere in the world from their Nanaimo office, the Intraworks team is well-positioned to scale up.